Porsche is selling plug-in hybrids in Germany in volume of approximately 200 a month (1,398 so far this year with an all-time peak of 413 last month), but all-electric registrations from Porsche are a rare sight. 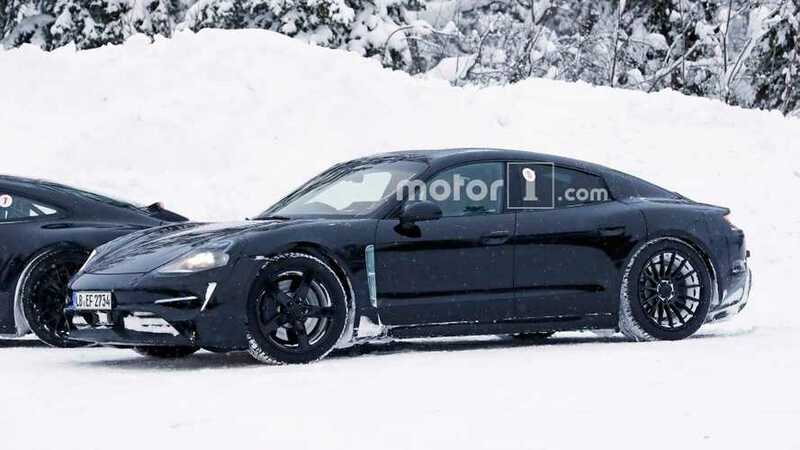 The market introduction of Porsche Taycan is approaching relentlessly as in July 32 all-electric Porsches were registered in Germany, probably all test mules. It must be a sign of a test fleet that will be driving to accumulate miles. Total registrations of Porsche BEVs this year is 39 (that includes 6 in June and one in April). One year ago Porsche registered in total 104 BEVs (probably Mission E prototypes). Below you'll see some the first real-world shots of the Taycan in action, as well as catch a glimpse of its frunk.